Now that is my kind of pizza! Esp on the grill! 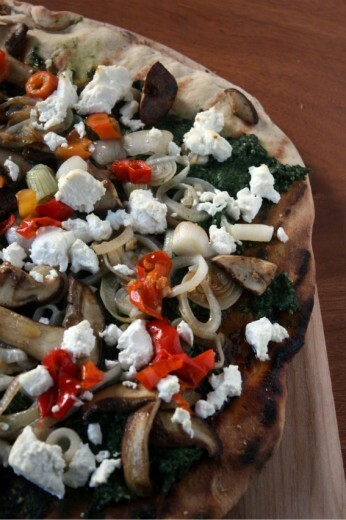 Love your choice of toppings….and could not agree more – the Bittman dough is a keeper. Your photos are great, Dana. Wish I had a slice of this right now at 610am! Ha! This sounds like a killer pizza! I had nettles once in a soup, but I’ve been cautious to cook with them at home because I’m afraid of not cooking them right and stinging everyone! Maybe a pesto like this is the perfect start because it gets so blended together. I definitely can’t remember the last meal I made twice, which is probably the norm for most food bloggers. So if you deigned this good enough to make again, it must be absolutely fabulous! Now finding some stinging nettles…THAT is gonna be the problem. This looks amazing! Morels are so special and nettles are always fun! 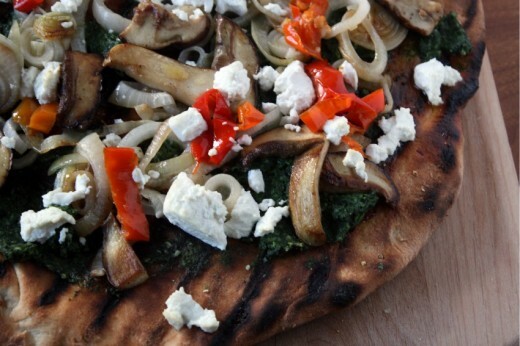 Have you tried the new Kirkland Signature goat cheese (Costco) – I think it just came out this past week? It’s fabulous and such a value! This would be amazing as a pasta too!!! Making pesto from something that caused me so much grief as a kid – well there is a new way to turn things around. This looks delicious. My family likes meat pizza and I love mine with any veggies. Fabulous pizza! 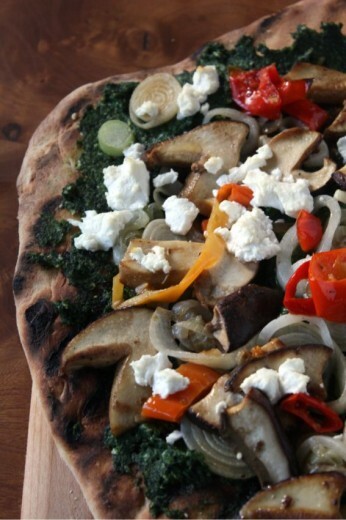 There is nothing like fresh vegetables on top of freshly baked pizza.